Dr. Jack Stephens, the veterinarian who founded the first US pet insurance agency and issued the first pet insurance policy to TV dog Lassie in California in the 1980s looks back on 30 years of helping pet owners afford the best vet care. 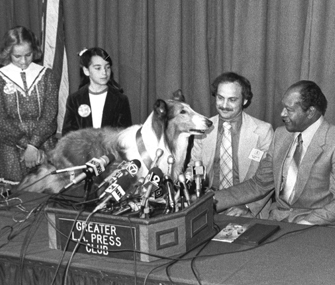 The month of April marks the 30th anniversary since Dr. Jack Stephens, who’s considered the “founder” of the pet health insurance industry in North America, issued the first pet insurance policy to esteemed celebrity dog Lassie. Dr. Stephens said it amazes him to think back on how the US pet insurance industry came to be. Dr. Stephens said he complied with a heavy heart. A few weeks later he ran into the mother and her daughter at the local grocery store. Dr. Stephens said this encounter shook him to the core and ultimately resulted in his decision to find a better solution than euthanasia being administered only because of treatment cost. Shortly after, he founded the first US pet insurance agency and then issued the famous TV dog with the first dog insurance policy written in the US. Having founded not one but two pet insurance companies in the past 30 years, Dr. Stephens said his mission when creating Pets Best Insurance in 2005 was to continually improve upon the strides he had already made in the industry and make pet insurance better by paying a flat percentage of veterinary costs. According to Packaged Facts, the pet insurance market in the US is marked for continued strong annual growth. Packaged Facts predicts the industry in North America alone will reach $881 million by 2014—an annual growth rate of 20%. Dr. Stephens said the North American market for pet insurance has never before seen so many viable competitors—but with brawny market share, there are two primary things that have and will continue set Pets Best Insurance apart. “We are both pet focused and devotedly passionate about living up to our name of Pets Best,” Dr. Stephens said. For more information, visit Pets Best Insurance at https://www.petsbest.com or phone 877-PetsBest (738-7237). You may also follow them on Facebook at https://www.facebook.com/petsbestinsurance.